USA Cycling has announced the creation of the Kelly Catlin Fund. 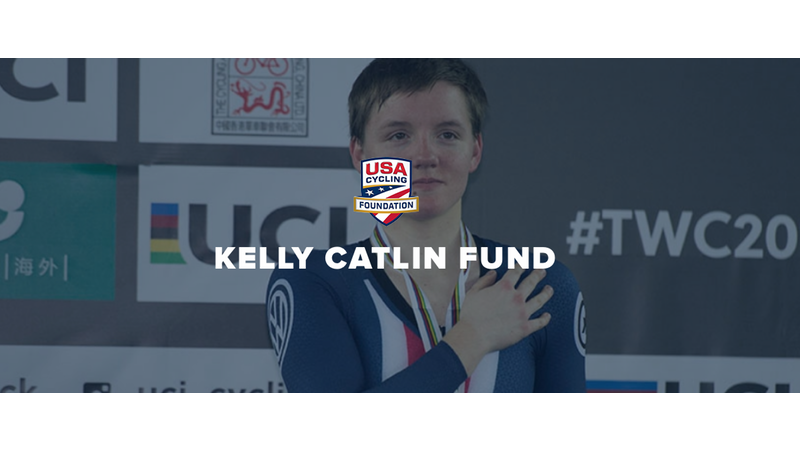 This fund was created in memory of USA Cycling National Team Member Kelly Catlin who was a 2016 Olympic Silver Medallist and three-time world champion who passed away on March 8. These funds will be dedicated to programs or services as determined after consulting with the Catlin family at a later date. Catlin was born in St Paul, Minnesota. She earned bachelor’s degrees in Biomedical Engineering and Chinese from the University of Minnesota in 2018, and was pursuing a master’s degree in Computational and Mathematical Engineering at Stanford University. Catlin began racing as a Junior category athlete with the NorthStar Development Team in Minnesota. She first represented Team USA at the 2013 UCI Road World Championships in the Junior Road Race and Junior Individual Time Trial. Her performances caught the attention of USA Cycling National Team coaches. Kelly was then invited to a training camp, which led her to joining the National Team as a track rider. Subsequently, she won three World Championships as a member of the Women’s Team Pursuit squad in 2016, 2017 and 2018 at the UCI Track World Championships and a silver medal at the 2016 Rio Olympics. Kelly also captured bronze medals at the 2017 & 2018 UCI Track World Championships in the Individual Pursuit. In addition, she was a member of the Rally UHC Cycling professional women’s team.